The Lawton Association of Elementary School Principals (LAESP) Scholarship is now available! degree in Elementary Education, Physical Education, Music Education, or Early Childhood Education at any university in the state of Oklahoma. • Applicants must have a high school GPA of 3.1 or above. 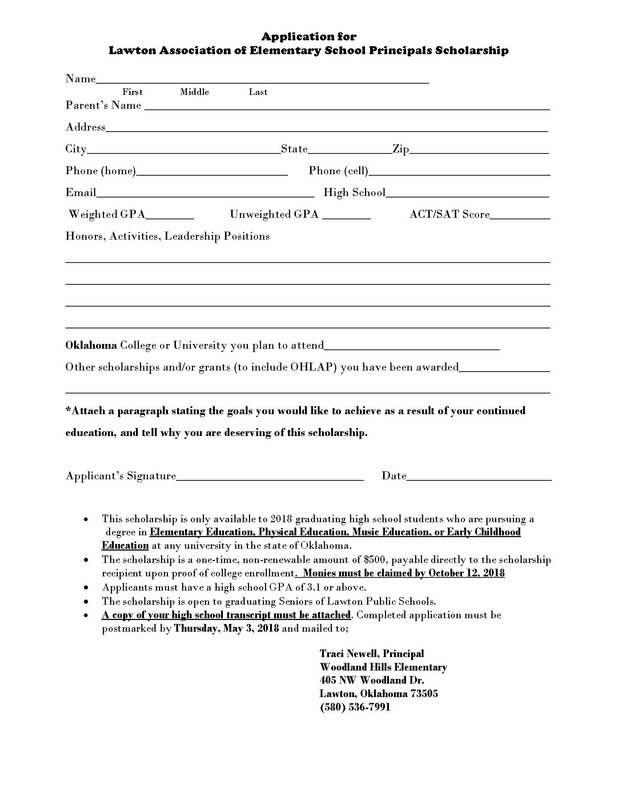 • The scholarship is open to graduating Seniors of Lawton Public Schools.